WataugaWatch: Justice WILL BE Partisan! NC Senate Bill 47, which would restore partisanship to our judicial elections, has been pulled from the current General Assembly calendar and will be back on the calendar in the July session when the Clown College rams through its redistricting plan. 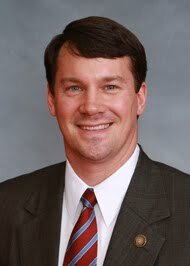 Sen. Jerry Tillman, the chief sponsor of S 47, "gained support for an amendment to delete the provision that would have killed Sunday afternoon voting," according to Bob Hall at Democracy NC, "so 'Souls to the Polls' faces one less threat. The bill still has a bucket load of obnoxious provisions, from ending Same-Day Registration and Voter-Owned Elections for executive branch offices to permitting corporate donations to political parties." Sen. Dan Soucek is a proud co-sponsor of this piece of elephant dung, which would simply and clearly reestablish a political litmus test for judges. The Clown College intends to take care of this last bit of election jiggering in July, at the same time they draw themselves and their Radical Right friends into safe districts. For the life of me, I don't know the best method of selecting judges for our courts. Public elections or appointments by politicians? Reccomendations from the Bar association? or by a committee? or just by lottery. Face it, most of us don't really have much knowledge as to the qualifications of the judges we vote for. Which judges did you cast your ballots for in November? I remember the ones I voted for for the Local District court positions, but little else remains in my memory concerning the other judges on the ballot. As far as political affiliation goes, I don't think that changes much except that it is one piece of information that voters will have now that they didn't have in the past. I agree this is a difficult issue. Part of me thinks that the extra information would be useful. But then I worry about forcing judges to declare a political affiliation. I guess on the balance I'd rather keep partisan politics out of the judiciary as much as possible. And yes, I know that's a very idealistic (maybe unrealistic) goal. I would like to know which are which because I now know that I'll never, ever vote again for a Republican for anything. I've been cured.